Wash it out: Pollen doesn’t just spread by air. It also attaches to your clothing, and your clothes washer can help remove it before it becomes airborne again, this time in your home. Washing your bed linens regularly in hot water can also kill dust mites, another common source of allergies. Also, don’t underestimate the build-up of allergens in your hair from spending time outdoors. Be sure that you wash your hair frequently during allergy season. Dry your laundry indoors: You have just washed the pollen out of your clothes. Using a clothes dryer over an outdoor clothesline will help keep it off. 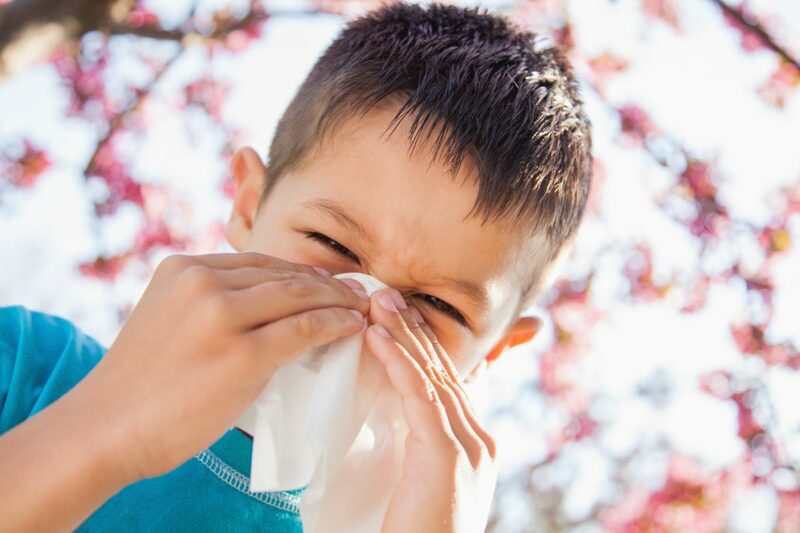 Line-dried laundry and linens can pick up pollen or other allergens while outdoors and bring them back into your home. Vacuum everything: Pollen and allergens can end up just about everywhere—carpets, rugs, hard surfaces, furniture, drapes, and mattresses. 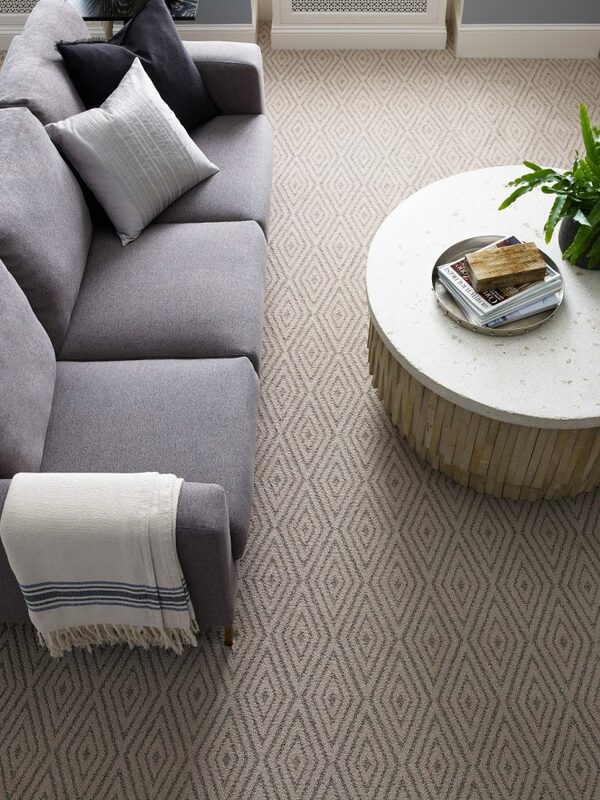 Vacuum all of them to remove as much of the allergens as possible. A portable vacuum with a HEPA filter has the capability to remove more than 99 percent of allergens with particles larger than .3 microns (That includes pollen and dust mites.). If you are using a portable vacuum that requires a bag, use micro-lined, two-ply bags to stop the allergens from being kicked back into the air while vacuuming. Central vacuums capture dirt and pollutants that are carried through a home’s exhaust system to a central container, which is in most cases installed in a garage or basement. These units don’t require a HEPA filter to remove allergens. Clear the air: Like vacuums, many models of room air cleaners also use HEPA filters to filter allergens and other pollutants from the air. In fact, a HEPA filter can help reduce pollutants in the air by up to 50 percent, but that depends on how the whole unit operates. The Clean Air Delivery Rate (CADR), which notes the suggested room size for an air cleaner, is the most helpful measurement to look for when comparing air cleaner performance. Visit AHAMVerifide.org for more about CADR and how to choose the proper air cleaner for your room. Change the air cleaner’s filter regularly and position your air cleaner near the center of the room, away from walls, to maximize airflow and performance. Cool the air: When the temperatures warm up, keep the windows closed and the AC on. Air conditioners don’t just cool the air, they contain filters that can help remove allergens. Keep the indoor humidity in check: Dust mites aren’t seasonal, but they tend to thrive in humidity A dehumidifier may make it tougher for the mites to survive. Let’s take a moment to revisit our most-read posts from 2018 while the year is still fresh in everyone’s mind. We covered a wide range of topics, from pet safety to counterfeit water filters. That variety is evident in our top posts of the year. We are grateful to our readers – thank you for taking the time to click, read and share our content last year! Without further ado, here are your favorite pieces from 2018. Is your water filter counterfeit? Keep your family safe – learn to spot the signs of counterfeit water filters. Looking for fall allergy relief? Your humidifier or dehumidifier could help! Air cleaning products are more popular now than ever – learn how they can help ease allergy suffering year-round. Cool Off with a Room Air Conditioner – Readers turned to AHAM’s expertise this summer for help with choosing the right air conditioner. Tips to improve and maximize air cleaner performance – Make sure you’re getting the most from your air cleaner with these tips. 5 questions to ask before buying a used appliance – These key questions will make you an informed buyer. Is it time to remodel your kitchen? If you are ready to make that significant investment of both time and money, you should think about the project as more than just choosing and installing new countertops, cabinets and appliances. You are not just remodeling. You are reshaping your kitchen into a space that reflects and is equipped for the way you cook, clean and interact with family and friends. 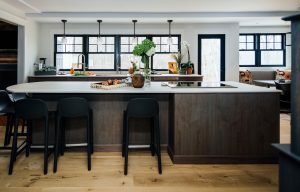 If you look at it from that perspective, envisioning the kitchen you need to accommodate your cooking, cleaning and social habits may seem challenging. 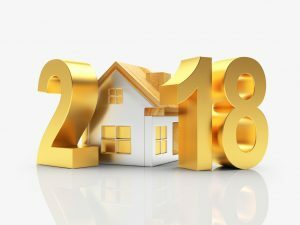 An interior designer can help you sort through all of these questions, present you with options, introduce you to new options and trends, and guide you through the remodeling process. 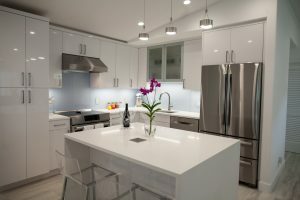 We recently spoke with two designers — Molly Switzer of Molly N. Switzer Designs, LLC, and Richard Landon of Richard Landon Design — for their take on the changing kitchen design, how you can make the best choices during the design process, and how you can get the most out of the relationship when you’re working with a designer. The appliances you have your heart set on in the beginning of the remodeling process may not be the best choice for your kitchen or lifestyle. It’s time to roll up your sleeves and do your homework. That could mean checking out what your family and friends have done, watching appliance demonstrations by retailers or manufacturers, or watching online videos. “A lot of consumers are doing research,” Switzer says. 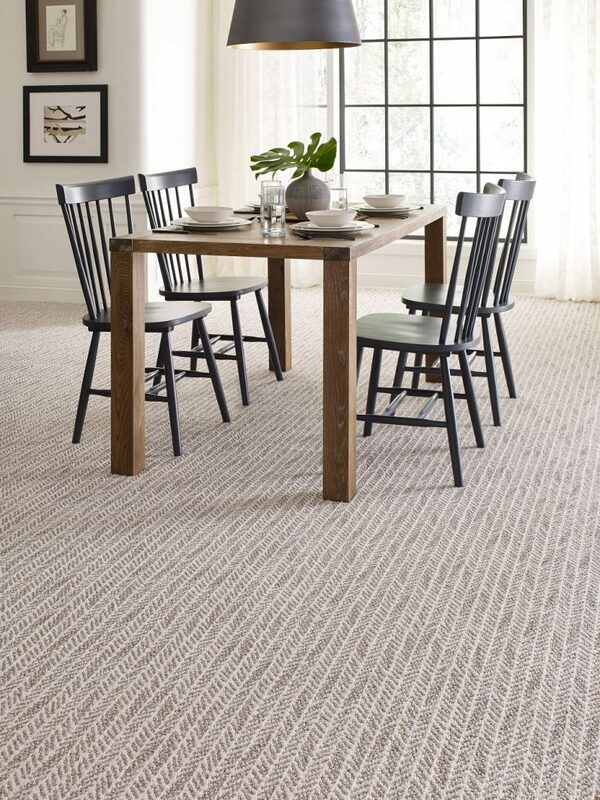 “They’re paying attention to their friends and family who are doing remodels. 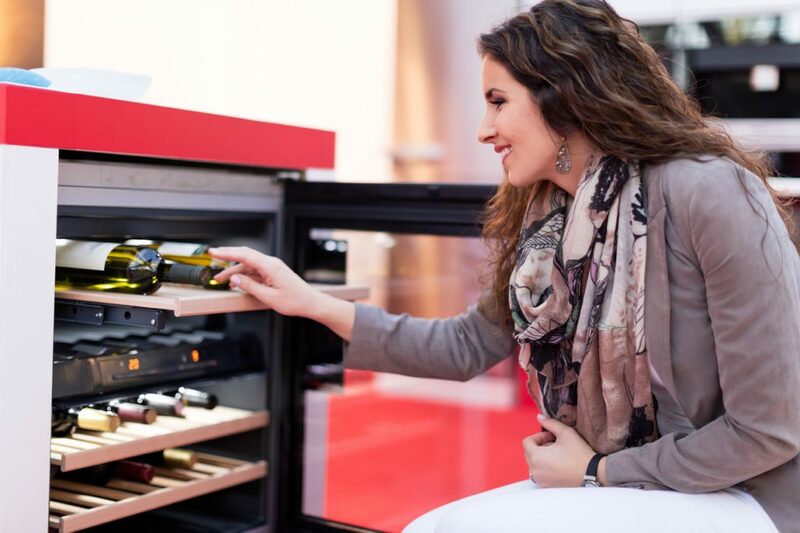 You can get a lot of feedback from them.” Switzer educates her clients on the options at the beginning of the process, but says it’s more valuable to visit a showroom and try the appliances. “That’s where everything gets solidified,” she says. Research also includes really thinking about how you use the kitchen. 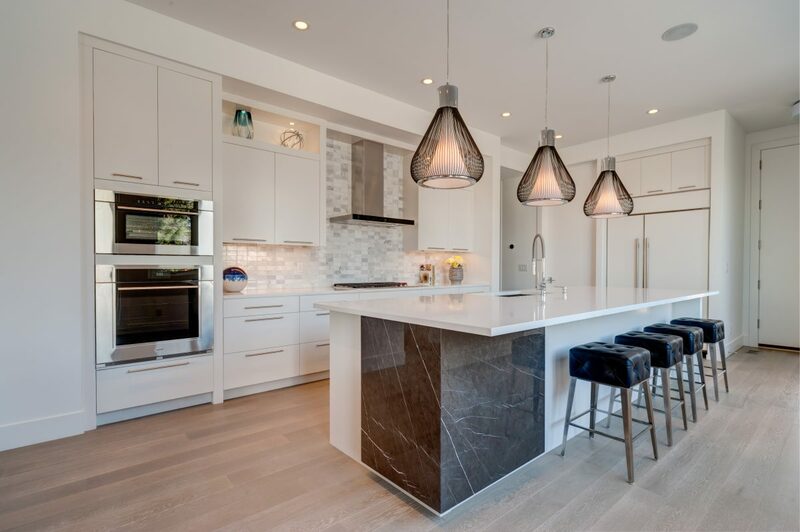 Landon has observed a phenomenon he refers to it as ‘A-cubed syndrome,’ which means his clients have adapted, adjusted and accommodated certain aspects of their kitchen for so long, that they have accepted those things as normal. What you are used to may not be what is best for you, and it’s important to be aware of options, he says. You should also consider how you clean your appliances. 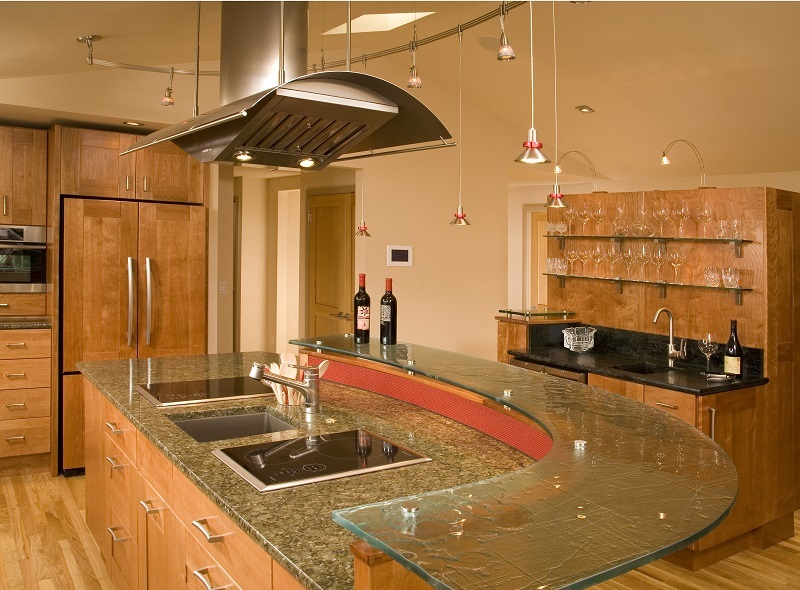 “When you have a gas cooktop, you understand that there are elements you have to clean. Some companies have come up with the technology to make the elements dishwasher safe, but most make you hand-wash those pieces. Do you want to take the time to make sure it’s clean or do you want to put it in the dishwasher?” Also consider whether you prefer a self-cleaning oven over one you have to clean manually, Switzer says. During a redesign, both available space and how that space is used will play into your choice of appliances, as well as where they are installed. 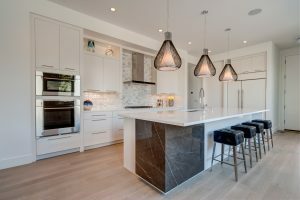 Socializing shouldn’t stop when the cooking starts, but historically, kitchens have often been designed with the range and other cooking appliances up against a wall, meaning the cook has his or her back to the others in the kitchen. 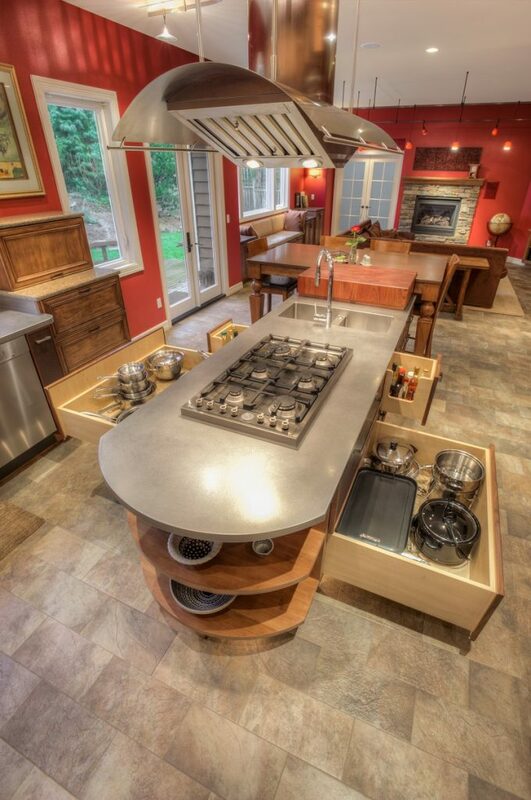 Moving the cooktop to the island will allow cooks to socialize while they sauté. This is another example of moving away from the traditional, Landon says. The portables you use regularly are one of the factors you should consider when determining your counter depth, Landon says. “As houses shrink, counter space is becoming a huge deal,” he says. Landon sees changes in the works for kitchens, driven by technology and a desire for personalized food. He encourages clients to think about the future when planning their remodel with a designer. “I want people to realize that the world is rapidly changing in response to technology,” Landon says. “It has very much affected the way we approach food.” He noted that for the first time, teenagers report spending more on food than they do on clothing. “In parts of the country where there is a higher density and cost of square footage, this is going to drive you into a different way of thinking about a kitchen.” Changes in eating habits, like the rise of rapid ordering and customized meals, can drive the decisions you make about your appliances. Connected features that seem novel now, like refrigerators that order food automatically and cooking appliances that guide you through the cooking process could soon become normal parts of the kitchen, he says. So, if you are planning a kitchen redesign, don’t be constrained by your current concept of a kitchen. Look beyond your decisions on the physical features and work with your designer to create a space that fits your lifestyle now and into the future, as food, cooking and appliances continue to evolve. The stand mixer is a kitchen workhorse. While stand mixers are probably most commonly associated with baking and sweet treats, they are equally useful for kneading bread dough and whipping up a batch of mashed potatoes for dinner. Stand mixers are likely to dwell in cabinets when not in use, though a range of colorful finishes can also make them into an eye-catching design element in your kitchen. Stand mixers have a long history that goes back more than a hundred years. The first stand mixer, which held 80 quarts, was developed for bakeries in the early 1900s. A smaller model for home kitchens was developed soon after. Today, 43% of consumers report owning a stand mixer, according to AHAM research. Whether you look to your stand mixer for baking, dinner or everything in between, take a look at these facts about stand mixers to see how your mixing habits and mixer stack up! Desserts, out of the box: Stand mixer owners really like their cake and muffin mixes. In fact, 82% use their stand mixer to make those mixes at least once a month. They enjoy their brownie mixes too, with 60% reporting that they mix up a batch at least once a month. Dinner (or lunch) is right behind: Mashed potatoes ranked right behind cake, muffin and brownie mixes among the most popular uses, with 53% of stand mixer owners saying they used their mixers to make mashed potatoes at least once a month. They are used regularly: Stand mixers are used about four and a half times per month. Four percent of owners use them every day, and 31% use them at least once a week. They’re used for an average of 19 minutes at a time. Mixers are multi-purpose appliances: A stand mixer isn’t just a mixer. Many models come with a variety of attachments that give the mixer various capabilities. 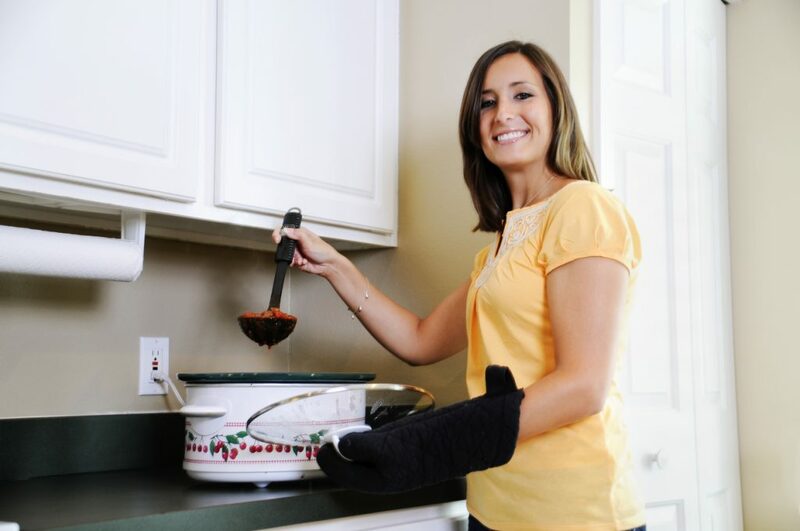 Some of the more common include mixing beaters, dough hooks, whipping beaters, and smaller-sized beaters. Less common are meat grinder, juicer, pasta making and ice cream-making attachments. They make users feel like pros: Nearly half (48%) of stand mixer users say the appliance makes them feel like a professional baker. 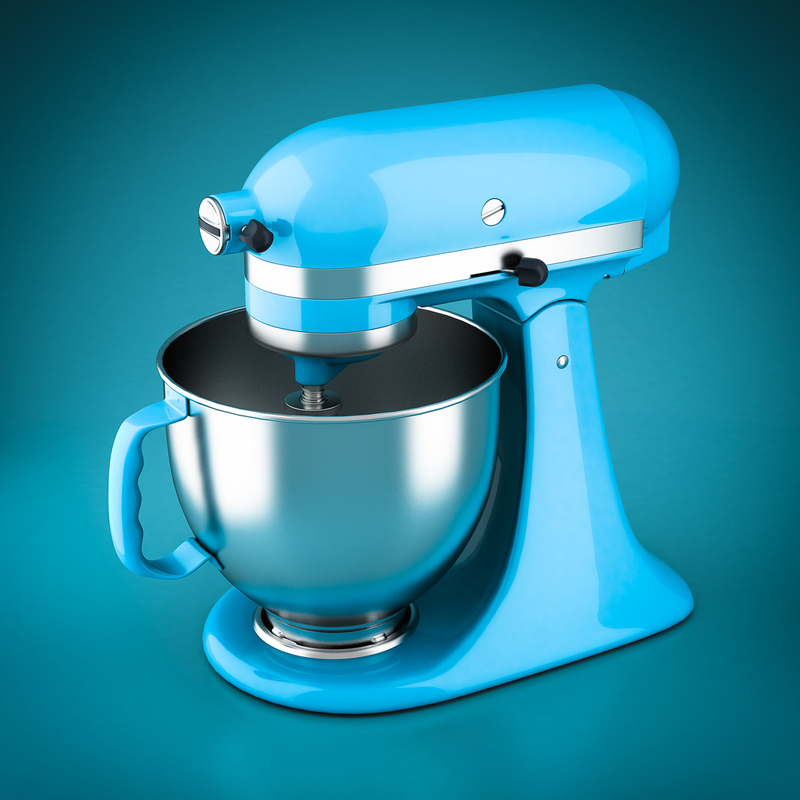 More than half (62%) describe their stand mixer as a professional-style unit. What’s your favorite recipe to prepare with your stand mixer? We want to try it, so share it in the comment section or with us @AHAM_voice on Twitter! They whip up healthy shakes and smoothies and decadent milkshakes, crush ice and puree fruit. Blenders are equally handy at every meal and if you’re craving a snack. They are among the most versatile of kitchen appliances. If you have a kitchen, chances are you have a blender. More than 90% of households report owning at least one personal or full-size blender, according to new AHAM research. People are using them more frequently, too, with full-size blenders being used an average of 6.3 times per month, up from 4.4 times per month in 2009. Personal blenders are used an average of 8.7 times a month. Healthier eating habits seem to be one reason behind the increase in blender use. “Eating healthier” is the top reason given by personal blender users (33%) who are using the appliance more, while 31% of full-size blender users say they’re using it more often because they’re drinking more smoothies. 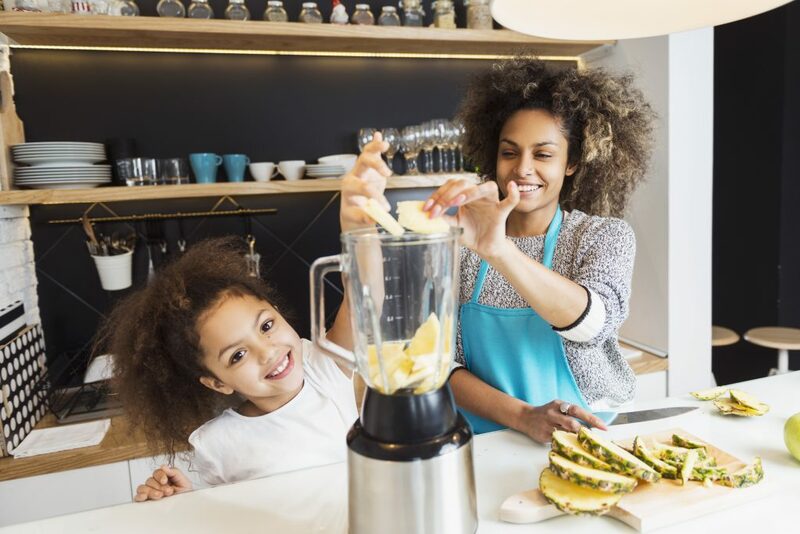 Whether you prefer full-size or personal, shake or smoothie, these facts from AHAM’s recent portable appliance research features will let you see how your blender and blender habits measure up. How do you use your blender? Let us know in the comments! Fruit smoothies are popular among blender users. They are made more than twice a month on average using both types of blenders. More than 25% of blender users report making smoothies in their blenders five or more times a month. Plenty of other healthy options like fruit and vegetable juices, soups and nutritional shakes also come out of blenders regularly. However, blender users like to indulge, too, and making ice cream milkshakes and frozen drinks both ranked among the top uses. Blenders are a part of every meal. While they may not be as commonly associated with breakfast as coffee makers and toasters, 33% of personal blender owners report using them most often breakfast, double the 16% who report using them most often at dinner. But snacks between meals edged out breakfast by a point—34%—as the most common time for putting the personal blender to work. Snacks were also the top use for 30% of owners of full-size blenders, vs. 24% for dinner, 22% for breakfast and 12% for lunch. Speed settings are one of the features that makes blenders equally adept at preparing a sauce, shake or smoothie. More than half (57%) of full-size blenders have four or more speed settings, and 85% have three or more. Among personal blenders, 22% have four or more settings, and half have three or more. Speaking of speed, blending sessions tend to be over quickly. Most personal (72%) and full size (66%) blender owners report using it for five minutes or less per session. Blender accessories can add convenience. If you are looking to take your freshly blended drink with you, 20% of full-size blenders will accommodate that with a travel cup and lid. Other common blender attachments are food choppers and food processors. Some models also include removable ingredient caps and pre-programmed recipes. Blender users, for the most part, are doing a good job keeping the appliance clean. Nearly 90 percent of users of both full-size and personal blenders clean the blender jar after every use, and another 5% clean it “frequently.” Most of those (85% and 83%) clean the blades as well. Hand washing, either with or without disassembling the blender, is the most common cleaning method. Online shopping makes it easier to run errands, saving us time and often money, too. As a savvy shopper, you know that a too-good-to-be-true price on a designer purse, shoes or sunglasses probably means it’s a fake; but did you know other unsuspecting household products you use daily could be counterfeits too? Counterfeit water filters are rampant online, disguised as certified filters with trademark violations, fraudulent and misleading labels and importantly, alluring price tags. Here’s what you need to know so a potentially harmful counterfeit filter doesn’t end up in your online shopping cart — or home. Water may look, smell or taste fine, but human senses cannot always detect microbial and organic contaminants lurking in the water that can seriously harm our health and wellbeing. The Association of Home Appliance Manufacturers (AHAM) conducted tests to find out how counterfeits stack up to certified filters. Labels on counterfeit filters claim to reduce lead in water to meet the NSF/ANSI 53 standard. Of the filters tested, only two out of 18 filters successfully filtered out lead for the full six-month refrigerator life of the filter. In a separate test of 14 filters, eight filters failed before half of a typical lifetime in a refrigerator. Every single counterfeit filter failed to perform at twice the typical lifetime, which is a requirement since many consumers often forget to replace their filters or don’t have a ‘replace filter’ light on their fridge, resulting in use them well beyond the suggested six-month time frame. NSF/ANSI 53 standards require filters to reduce the presence of cysts (cryptosporidium parvum oocysts) by 99.95 percent. To allow for a margin of error, AHAM lowered the bar to a 90 percent for its test. Even with the lower standard, seven out of eight counterfeit filters failed to removed 90 percent of cysts, despite labels claiming they would. An eighth filter was removed from testing due to clogging. Per NSF/ANSI standards 42/53 4.1, filters should not introduce new contaminants above the allowable limit. The test checked for 159 different contaminants that can be found in water, such as volatile organic compounds, semi-volatile organics, other semi-volatile organics, regulated metals and nitrosamines. After uncontaminated water sat in 46 counterfeits for three 24-hour periods, ten separate compounds were found over the total allowable concentration. In other words, the filters introduced these contaminants – elements such as arsenic, ethanol and octane — into clean sample water. The chemicals are consistent with those leached by non-food grade plastics. Don’t roll the dice when it comes to shopping for your family’s refrigerator filter. Only purchase filters sold by a refrigerator manufacturer that stands behind its products. 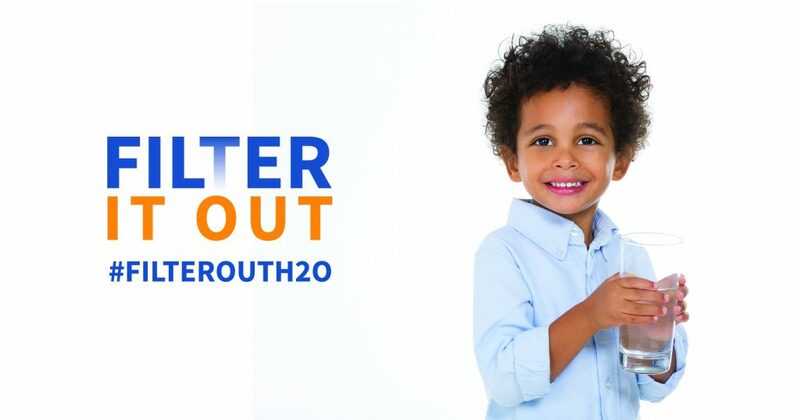 For a complete list of trusted filters and more information about the report findings, visit FilterItOut.org.